Today I'm starting a short series of guest posts from authors who've self published. Today's blog is from Sue Howes, who was one of the first authors I know who self published. She tells us what it was like to self publish then, and what it led to for her. Sue will be back in a later blog post to write about things to bear in mind if you're interested in getting libraries to stock your book. Sue is the author of The Bay Mare. She's a school librarian, and owns Jack, a Fell pony, and loans the very naughty Yoshi, with whom she does agility. Sue Howes' The Bay Mare is available via Amazon. 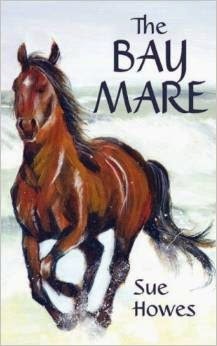 Some years ago I self-published a book, The Bay Mare. It was in the early days of self-publishing so it was an expensive thing to do. The book didn’t sell many copies, for two main reasons: it was not a very good book*, and I have no selling skills. 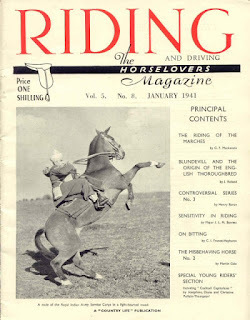 My story is not all doom and gloom, however, as one of the copies sent out to various horse/pony magazines bore fruit. They liked my ‘fast-paced style’ (which is a nice way of saying I can write a plot but tend to skim over things like character development, and descriptions) and would I like to write short serialised fiction for their magazine? Of course I would! I wrote quite a few stories for Horse & Pony magazine before the magazine closed down and it was tremendous fun. 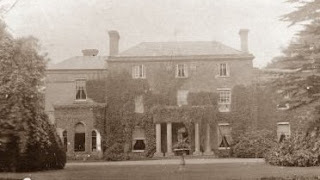 At last I had an outlet for all those odd, amusing and plain stupid things that had happened to me over the years I had been associating with horses, and I put them all in the stories. For instance, I wrote one story about the infamous Yoshi, who I have on loan from the Mare & Foal Sanctuary, in which he did all the naughty things that ponies do, like rolling in front of the judge at a show, and escaping. That was fun to write. I was surprised by how many incidents I remembered, like the time I was riding in Wales on a school trip and we encountered a nest of angry wasps, while riding up a narrow track. Carnage doesn’t really cover it! I might self-publish again, if I ever write all the books which are in my head. I like the idea of self-publishing because it is so difficult to be accepted by a mainstream publisher, even for really good writers. It is a chance to get your writing out among the reading public, and the feedback can be very useful. Some people in the world of books look down on self-published authors but I feel that the traditional publishing house way of producing books is changing fast, with new technology available, and attitudes towards self-publishing will probably change eventually. Quite a few books are now self-published for e-readers, which has got to be cheaper than getting a whole load of books printed, and I can see the appeal of doing it this way. There are also websites where you can make the book up yourself to be printed on demand, another less expensive option. I did learn a thing or two about book production from my experiences, mainly to make sure you get the type-face right, and the right size for your readers. If you are thinking of doing this, do go to your local library or bookshop, and check out other books for the same age group. Too-small print, or a fiddly type-face, can be so off-putting, especially for a reluctant reader. How lovely, I had no idea you were (are) an author as well as an avid reader, Sue. Where can we get a copy of The Bay Mare? Have you got any copies left? When I was self-publishing I spent ages choosing the font, size and layout. I didn't want it to look too babyish, but I wanted as many people as possible to be able to read it. Both our children are dyslexic, so I'm acutely aware of readability. Looking forward to hearing what librarians want from a book! I think I too have a "fast-paced style" and have to make a conscious effort to slow myself down. I think it comes with practice though. I have tried short stories for magazines but it never really works for me, although I have had quite a few factual articles accepted for pet magazines which I am quite pleased about. Perhaps you should think about going back to The Bay Mare and trying again? I have the opposite problem sometimes from fast-paced - pacing is one thing I need to constantly harangue myself about, otherwise I would just sit there writing pages and pages of dialogue. Have to keep reminding myself to make something happen!